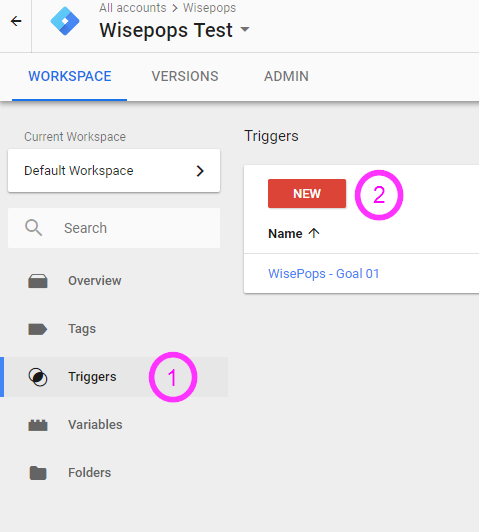 To make goal tracking works properly, you'll have to make sure that your "WisePops tracking code" tag is fired before the "goal" tag. In this tutorial, we'll assume you have a confirmation page associated with your goal. If you don't, please contact us, we'll suggest a different method. Log in to your GTM account. In the left menu, click "Triggers" and then "New". 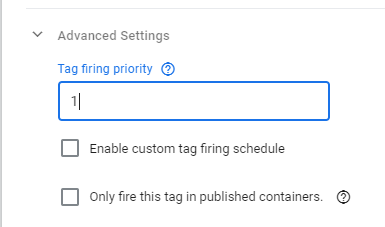 In the left menu, select "Tags" and click "New"
In tag configuration, select "Custom HTML"
In triggering, select the trigger you just created. Save and name your new tag. 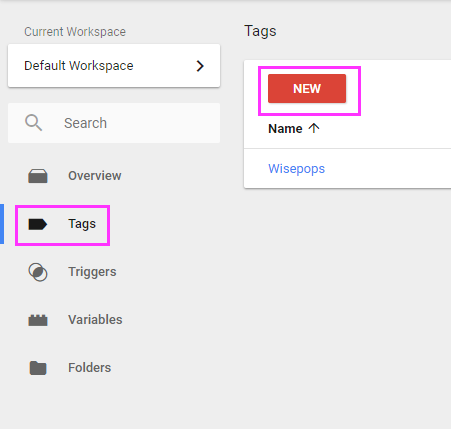 Preview the changes to make sure the tag is triggered on your confirmation page. When you're done, hit "PUBLISH".